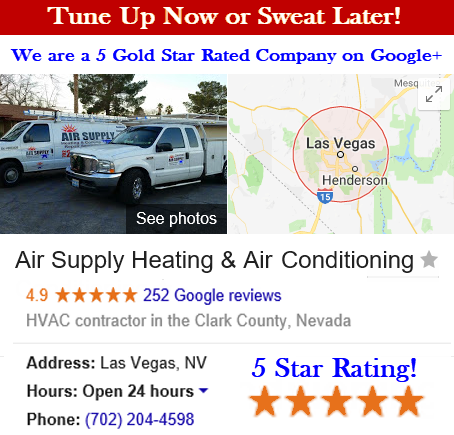 Air Supply Heating and Air Conditioning is the top HVAC company in Las Vegas and surrounding areas and provides every customer with the highest level of service, professionalism and results available. 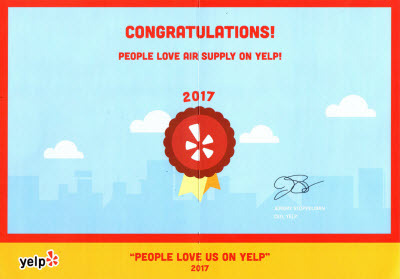 Air Supply Heating and Air Conditioning technicians are fully licensed and trained at the highest level and have the skills and experience required to fix any issue you are experiencing with your HVAC unit. 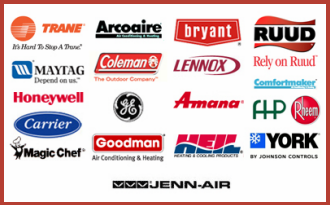 No matter how big or small the problem is, Air Supply Heating and Air Conditioning will have your heater or sir conditioner working in no time, providing you and your family with the level of comfort you deserve. Air Supply Heating and Air Conditioning not only specializes in keeping your HVAC unit running smoothly, but we also offer professional dryer vent cleaning to our customers. It is important to have your dryer vent regularly cleaned out by a professional. Lint and debris can build up in your clothes dryer, resulting in your dryer to exhaust less than optimum efficiency. If your clothes are not drying as quickly as they normally do in your dryer, chances are that your vent is in need of a thorough cleaning done by a professional from Air Supply Heating and Air Conditioning. Air Supply Heating and Air Conditioning will thoroughly clean out your dryer vent so your clothes dryer will work at its maximum output, getting your clothes dry and preventing any dangers that a dirty or clogged dryer vent can cause. When a dryer vent is not clean it can create hazardous conditions including carbon monoxide intrusion. Carbon monoxide in the home is extremely dangerous and can have fatal consequences. Not only can a dirty dryer vent pose carbon monoxide poisoning threats, but a dirty dryer vent is also the cause of many house fires each and every year. The debris that is left clogging your vent can get very hot and catch fire, leading to a disastrous house fire that you may not be able to recover from. Air Supply Heating and Air Conditioning technicians will completely clean your dryer vent to prevent any of these disasters from occurring. The best way to ensure your dryer vents are cleaned and clear for everyday use is to hire Air Supply Heating and Air Conditioning to regularly clean out your dryer vents. Air Supply Heating and Air Conditioning technicians are skilled and experienced when it comes to keeping your dryer vent safe and clean for everyday use. Our technicians will inspect, clean and verify that your venting system is sized and installed properly. Failure to clean dyer vents is the leading factor in contributing to clothes dryer fires in residential buildings and homes. 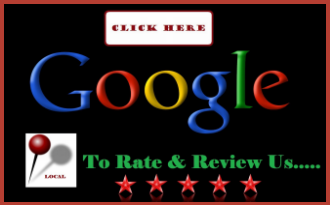 Air Supply Heating and Air Conditioning is your number one choice for all HVAC services and dryer vent cleaning.